In 2005, Lowpete Construction, Inc. donated the Moraine Edge Conservation Easement to SEAL Trust, permanently protecting the property as conservation land. The underlying fee-simple property was then donated to the City and Borough of Juneau to own and manage. The property was protected as a condition of a Planned Unit Development (PUD) at the Moraine Edge Subdivision on Steelhead Street. 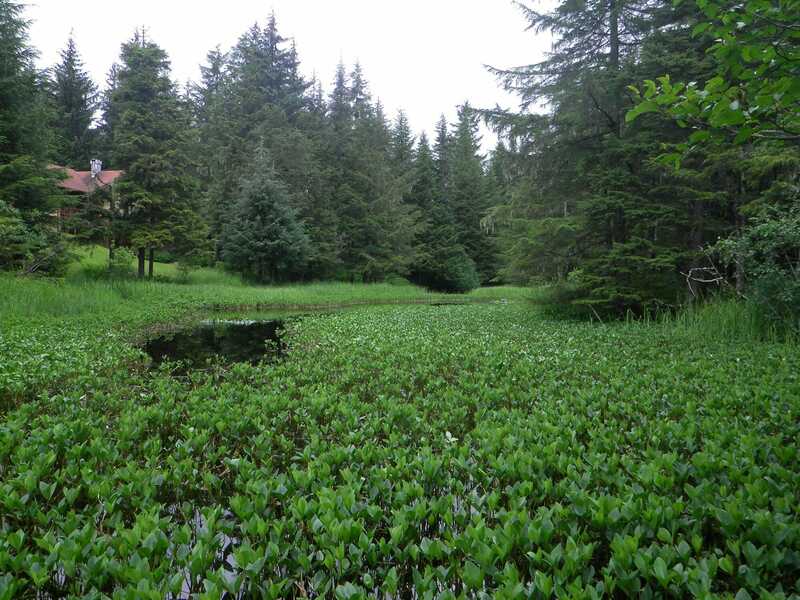 Parcel A (4.75 Acres) includes high-value wetlands that provide important wildlife habitat. The parcel also features brushy willow shrubs and Sitka spruce trees. At the southeastern corner of the parcel, at the end of the Steelhead Street cul-de-sac, there is a small recreational playground. It has been estimated that the Mendenhall Glacier terminated in the vicinity of Parcels A and B as recently as 1760. Sediment deposits at the front of large glaciers create a “moraine” or a mass of rocks and sediment carried down and deposited by a glacier, typically forming ridges at its edges or extremity. 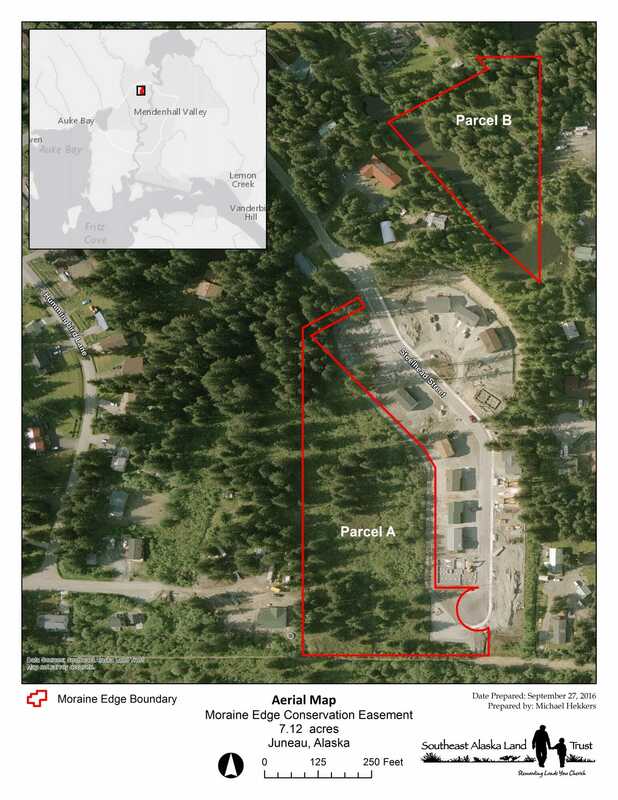 Parcel B (2.37 Acres) is just one segment of the prominent moraine from the 1760 Mendenhall Glacier. This moraine includes a series of kettle ponds (shallow, sediment-filled bodies of water formed as a result of blocks of ice calving from a glacier and becoming submerged in the sediment on the outwash plain). Much of the shoreline of the kettle pond located on Parcel B supports buckbean, an emergent aquatic plant, as well as yellow pond lily. The pond is known to host mallards, buffleheads, common mergansers, and great blue herons. The dense Sitka spruce and western hemlock forest is typical for the area and includes blueberry, high-bush cranberry, wild currant, Pacific red elder, devil’s club, cow parsnip, and ferns which, in turn, support black bear, Sitka black-tailed deer, and red squirrel.